Sunny and feelgood new alt pop act, consisting of two members: a girl and a boy. Here comes the summer! 2012 - The soundtrack "Love Merry Go-Round" was used for Si.Mobil campaign in Slovakia. 2011 - The Baikal Paradise's "Summer Breeze" synchronised on the Adidas For Women spot "La Buee". 2011- Claude Pelouse "Quiet Afternoon" selected as soundtrack to the Belgium TV ad campaign for BNP PARIBAS. 2010 - "Perfect Daydream" (Creative Pop Songs - The Baikal Paradise / Koka Media) was selected as a soundtrack to the French TV add campaign for La Redoute Collection Printemps 2010. 2010 - "Summer Breeze" was selected as a soundtrack to the French TV add campaign for Lu-Belvita. 2010 - "So Nice" by Frédéric Auger was selected as a soundtrack to Spanish TV Add Flocafé. 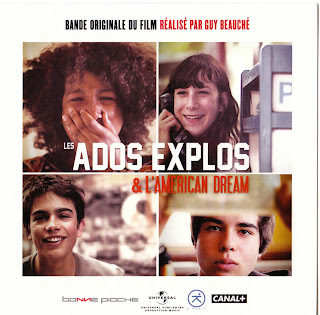 LES ADOS EXPLOS SOUNDTRACK - FRANCE 2010: Claude Pelouse "Quiet Afternoon", "Perfect Daydream", "Too Far", "Stars" and "Candy"
2011- "Some Rules are made to be broken" by smudie and José Le gall used for a Club Med Uk presentation.